Let’s have a little bit of straight talk Family. Let’s get real. There are a lot of awesome brothers out here putting in the work. When I say awesome, I mean Black men that are raising their children, taking care of the family, building up the community, and doing whatever they can to set the world on blaze. These men are handling their business despite the odds against them. But, there are some black males out here that are doing the exact opposite. They are straight knuckleheads disrupting and creating chaos wherever they go. These knuckleheads are violent. They will pick a fight with anyone especially those who are closest and looks like them, which means other black males, black women and even the children. They have no respect for others, especially black women and the elderly. They rob and steal from hardworking people. They will shoot at anything and will shoot up any place (even a playground) with no regards to who gets caught in the crossfire. They are parasitic agents of Set but they didn’t just get this way overnight. These parasitic Frankensteins were created through slavery. 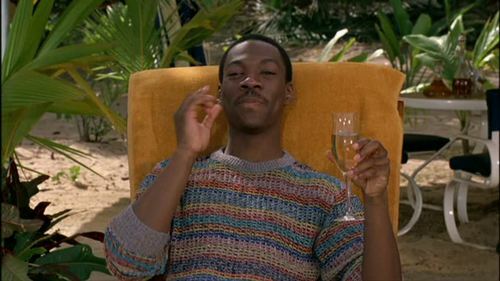 The difference is that Louis Winthorpe III (Dan Aykroyd) symbolizes black people before slavery and Billy Ray Valentine (Eddie Murphy) symbolizes white people before slavery. The plantations, mines, etc. were the European laboratories. Initially it was the Europeans ran their experiments on the Native Americans but when they began to realize the genocide that was taken place, the Native Americans escaped. So, the Europeans turned their sights on African people and for more than 500 years, all they did was condition us to react, behave, think, and perform, etc. the way they wanted us to. The experiment we call slavery was basically to exchange our consciousness with their consciousness. In other words, they extracted the science of civilization from the marrow of our soul and replaced it with their ignorance of civilization, thus the parasitic Frankenstein destroying our communities with senseless violence was created. It should now make sense why American culture is really exploited black culture and why America became so rich. I was once a parasitic monster. I did not know at the time but I was. I was not as bad as others. I've had my share of destruction even though I knew about the Kamitic tradition because I did not know that the true ills of slavery were psychological. For a period of time, I blamed a lot of the problems I had in my life on the lack of my father’s participation, although he was in my life. If it wasn't my father whom I blamed my problems on, it was the white man. For the most part, because I was raised in my parents’ home, I did not act out but as soon as I was off on my own. The dysfunction hit and manifested in the worst way especially when I hit rock bottom. 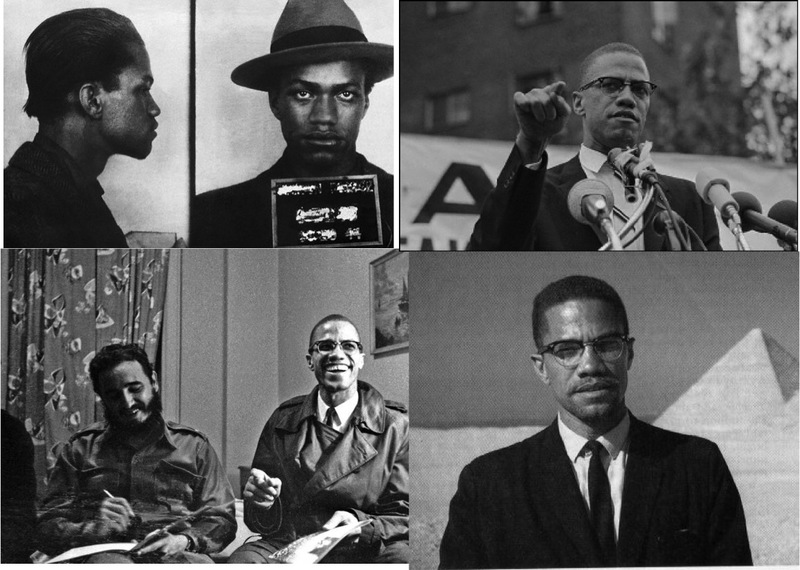 It wasn’t until I read Malcolm X’s autobiography and learned that he was once a parasitic monster before he was healed, that I realized that I was ill. I can't exactly remember the date when I stopped blaming others for my faults and started to take responsibility for me life, but when I did. That's when everything began to change and even though I had been reading about Kamitic spirituality for years. It was at that moment that Kamitic spirituality became real for me and the Story of Osar became my bible. You see, all of the stories in every other religion I had read shifted blame and salvation outside of the person. For instance, it was the devil's fault, the white man's fault, my father's fault, this person and that person's fault, which meant my salvation was in someone else's hands. 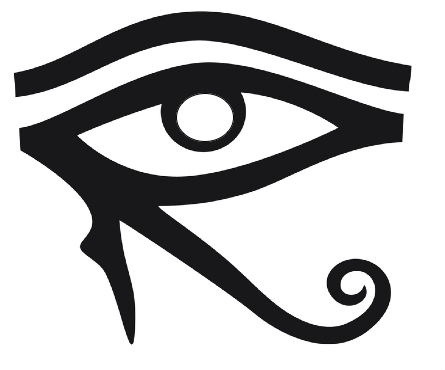 But, it was the Story of Osar that resonated with me the most because it was the only story that helped me to understand how I was conditioned, which is symbolized in the Story as Hru (Horus) having his eye gouged out by his evil uncle Set. Therefore, Hru was being manipulated by Set and did not even know it. Hru's eye was healed by Djahuti who symbolizes a shaman-priest or someone who KNOWs. Elijah Muhammad was one of the individuals who knew how to heal a sick eye, which is the reason Malcolm and other men joined the Nation of Islam. There are other teachers who have come and gone that knew how to heal our bad eye. Although there were numerous men and women who helped me, it was my godfather (Papa) who repaired my eye, which allowed me to fight Set effectively. Through my godfather I learned the truth about my ancestors. Through my ancestors I learned the truth about our history and about salvation through our culture. The more I studied and contemplated on the characters in the Story, the more the parasitic energy of Set began to seep out of my life. Until finally I became who I am today. The point that I am making is that white supremacy through its' history of slavery has severely traumatized us all. It has made us parasitic destroyers of each other, our families and our communities. We have to realize that we are the only ones who can save ourselves. There are plenty of tools available that can help us in the self-healing process and a number of teachers available to point you to the right path. (Please note that I said teachers meaning they can only tell you how to do it, but you have to go home and do the spiritual work yourself). The experiment is not over. The wager was to see how long it would take for us to self-destruct as a people once they Traded Places. Now that you know, the time has come for us to end the experiment and come out on top. 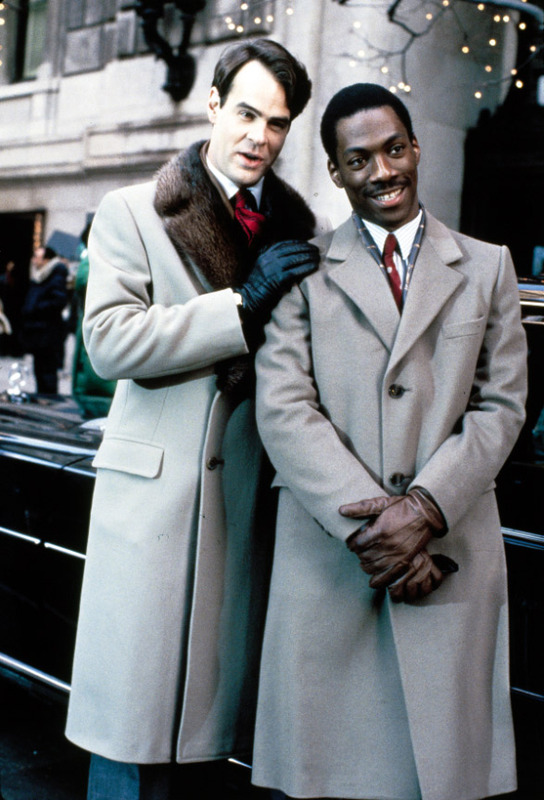 Trading Places is a 1983 American comedy film directed by John Landis, starring Dan Aykroyd and Eddie Murphy. The story is a modern day version of Mark Twain's classic 19th-century novel The Prince and the Pauper. 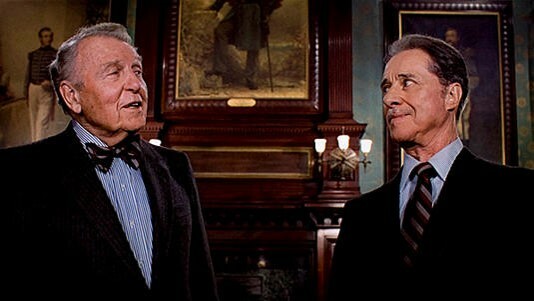 In the story the Duke brothers (Randolph and Mortimer) who own a successful commodities brokerage make a wager of the "usual amount" and agree to conduct an experiment by switching the lives of an upper-class commodities broker (Dan Aykroyd) and a homeless street hustler (Eddie Murphy) and observing the results. The symbolism was that Louis Winthorpe III (Dan Aykroyd) symbolizes black people before slavery and Billy Ray Valentine (Eddie Murphy) symbolizes white people before slavery. 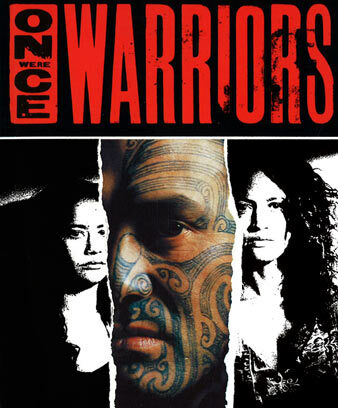 Once Were Warriors is a 1994 New Zealand drama film based on New Zealand author Alan Duff's bestselling 1990 first novel. The film tells the story of the Hekes, an urban Māori family, and their problems with poverty, alcoholism, and domestic violence, mostly brought on by the patriarch Jake. In the story Jake does not take responsibility for any of his faults, so he drowns his pain in alcohol with his friends. In the end, Beth (the wife) after years of domestic abuse finally stands up to her husband and takes their children back to her Māori village and traditions. All while defiantly telling her husband that Māori heritage gives her the strength to resist his control over her. What I got out of it was that Beth and her children returned to their cultural ways.